After weeks of warm weather, winter decided to visit again. Yesterday, the temperature was in the 30s when I got up. This morning, they had dipped into the 20s -- 24 to be precise (-4 C). But I pulled on my running clothes and headed out. The road was slippery in places, but I managed to stay upright throughout my seven-mile run. 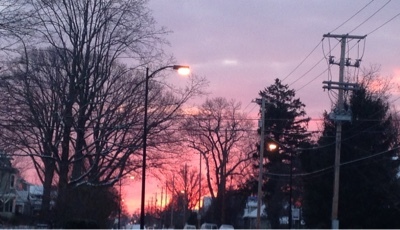 And as the sun rose, I was rewarded for my tenacity. 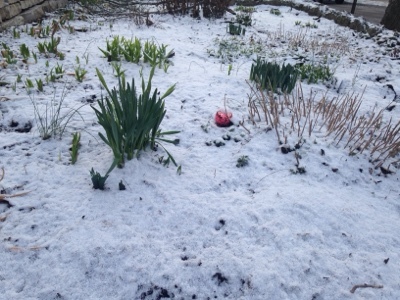 And I took a couple more pictures to show how the dusting of snow is affecting the spring growth. 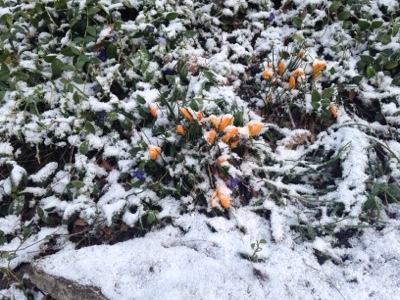 These crocuses don't look too bothered by the snow. Our daffodils haven't bloomed yet. There's a leftover Christmas bulb in this garden, slowly fading. 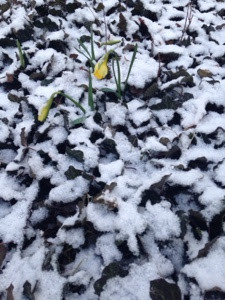 These daffodils do not look very happy with their coating of snow. Hope you have something hopeful and beautiful in your life today too. Lots of daffodils around Carcassonne. Windows open. Wild asparagus for sale at the market. Francetaste, Sounds like your spring weather is in full force. Lovely. Beautiful picture. Congrats on your seven miler. Our daffodils are out and unphased by the frost we had this morning. The first trees are flowering, the ones that look like snow. And one forsythia bush was showing off. Just Me, I love the way you described the forsythia bush! 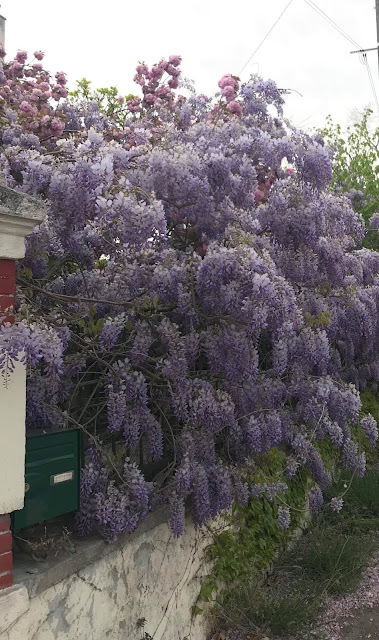 Roz, So nice when spring begins to arrive. Diane, Can't believe it got down to 6. Brrr.